The holiday season is officially upon us but many families are feeling afraid, rather than joyful, as they face the threat of losing affordable health coverage for their children. Thankfully, the drum beat for Congress to extend federal funding for the Children’s Health Insurance Program (CHIP) continues to intensify. It has been 75 days since lawmakers missed the deadline to pass funding legislation for this vital program, which provides nearly 9 million children health and dental coverage and covers an additional 370,000 pregnant women. While members of Congress have instead prioritized an enormous tax bill, more and more influential voices — from governors and mayors to late night television celebrities — are calling for immediate action on CHIP. 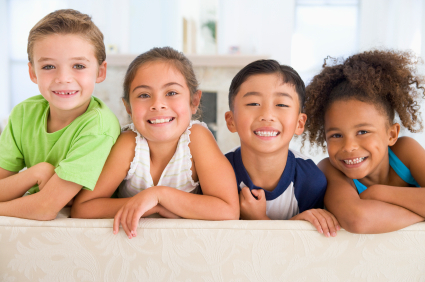 Here at the Children’s Dental Health Project, we’re calling on the oral health and child health community to amplify that message so Congress can no longer ignore the children and families who count on CHIP every day. As CDHP has previously noted, for many states, the delay in extending CHIP funding is beginning to have very real consequences. While the timing may vary, states will soon run out of dollars to keep their respective CHIP programs running. Some states are already being forced to notify families that their children’s coverage could end: Colorado notified families in late November that the state’s CHIP program would be ending January 31. Virginia followed suit this week, with Governor Terry McAuliffe calling the situation “shameful.” Montana, Texas, and West Virginia, among others, are also facing the likely decision to shut down their CHIP programs in 2018 if Congress doesn’t fund CHIP now. We are, however, heartened by the many voices across the political spectrum stating loudly and clearly that Congress cannot wait any longer to act. Late night television host and passionate children’s health advocate Jimmy Kimmel made a tearful plea Monday night for Congress to protect the millions of kids enrolled in CHIP. Congress can no longer ignore the children and families who count on CHIP every day. To amplify this call to action, CDHP has developed a number of messages for advocates, parents, and all concerned constituents to use in pushing Congress to #FundCHIPnow. Use or adapt these messages on social media and direct them at your U.S. senators and representative. As lawmakers prepare to return to home for the holidays, urge Congress to make real this season’s traditional greeting of good health and happiness by voting to extend CHIP. The fate of millions of children hangs in the balance.